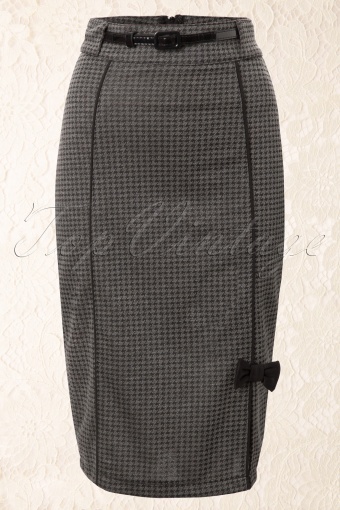 The Hot For Houndstooth pencil skirt charcoal black from Steady Clothing. Small American high quality clothing label. 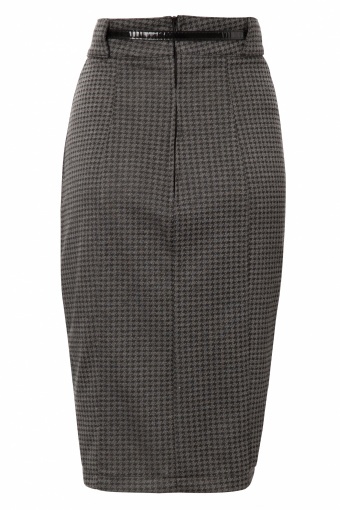 We fell in love with this feminine high waist pencil skirt in houndstooth print. Made of a soft stretchy fabric that will hug your curves! 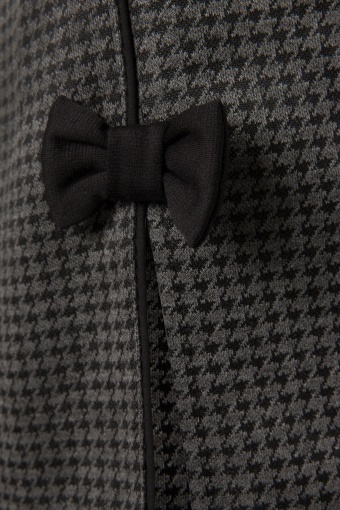 Nice detailing like the mini black belt, black piping at the seams and the perfect little black bow above the knee slit on the front. Wear it with the Miss Fancy Top as on the pics for a playful yet chic secretary look, succes guaranteed! As seen on Viva Magazine & Grazia!